The Avengers has been a major hit for Marvel ever since the comic debuted in the early 1960s. Written by Stan Lee and illustrated by Jack Kirby, the characters in the series quickly became one of the most popular fictional superheroes in the history of comics worldwide. The 2012 film by the same name also became a massive hit for Disney, grossing over a billion dollars at the box office and millions more through merchandising. One such merchandising venture was a tie-up with Samsung to sell limited-edition Avengers-themed Galaxy S6 and S6 Edge phones and related accessories. 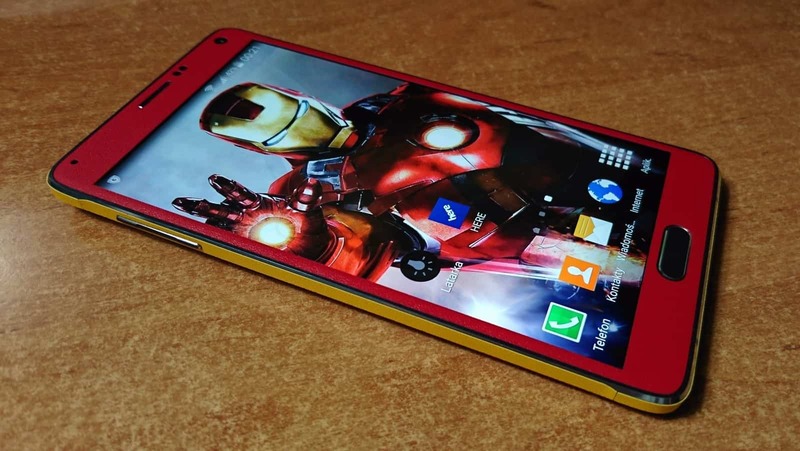 An Iron Man-themed Galaxy S6 handset was even reported to have sold for as much as 568,788 Yuan ($91,635) at an online auction in China last month. Clearly, the comic book heroes are not exactly bereft of fans. 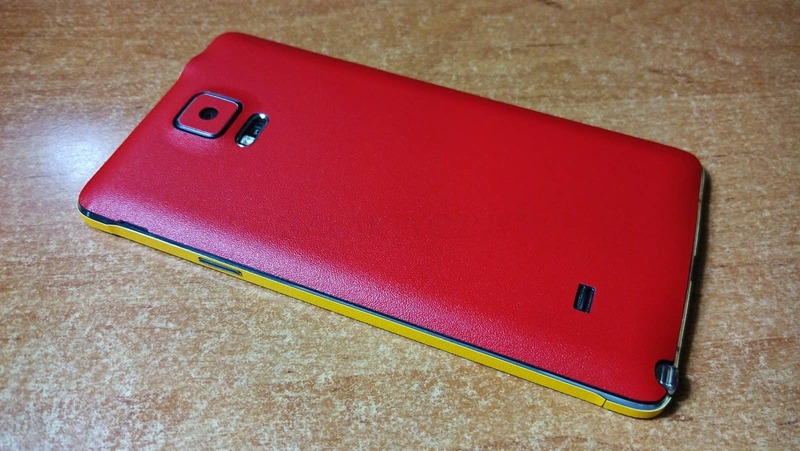 However, while the South Korea-based smartphone maker has released an Iron Man edition of the Galaxy S6 Edge, it hasn’t thus far released any Avengers-themed versions of its Galaxy Note Series handsets. One Avengers fan in Poland was determined to do something about it. Galaktyczny.pl founder Krzysztof Nawrot says he wasn’t happy with the fact that Samsung had not officially launched an Avengers-themed Galaxy Note 4, which made him ‘envious’ of the Galaxy S6 Iron Man edition owners. 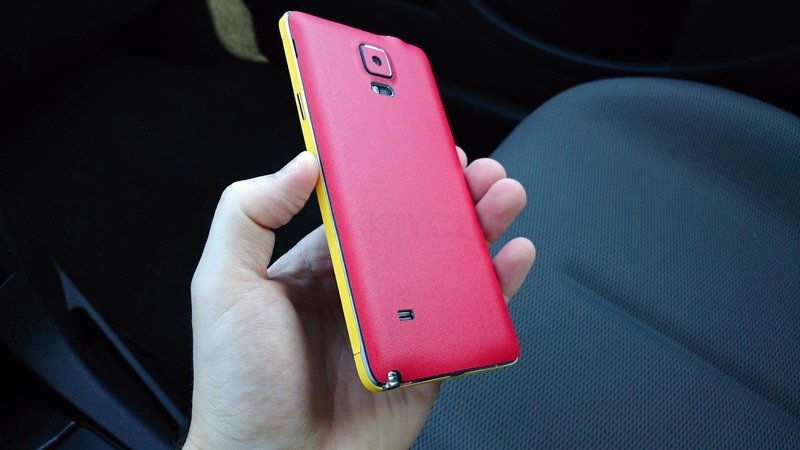 So he started looking for ways to turn his standard issue Galaxy Note 4 into an Iron Man edition. 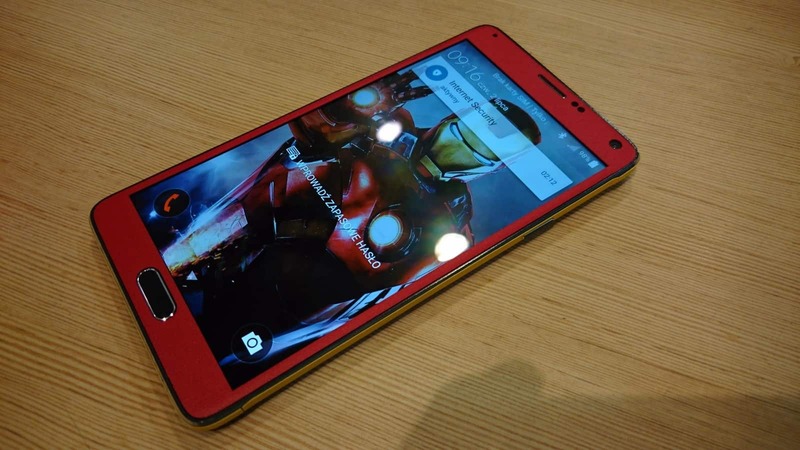 For that, he went over to phone customization website dbrand to get red and gold 3M vinyl wrapper for his smartphone, to give it an authentic Iron Man look. The colors and options he chose, meant he had to spend a grand total of only $22 plus $5 for shipping. The package he says, took three weeks to arrive by regular mail. Having applied the film diligently, Mr. Nawrot installed either an Iron Man wallpaper or theme, making the transformation complete. While Mr. Nawrot sheepishly admits the result doesn’t quite look like the real deal, most readers would probably say the makeover looks fairly authentic, at least in pictures – especially considering the price he paid for it. Whether Samsung intends to team-up with Marvel / Disney for its upcoming Galaxy Note 5 is anybody’s guess, but if it does, looks like there will at least be one very happy patron in Poland. 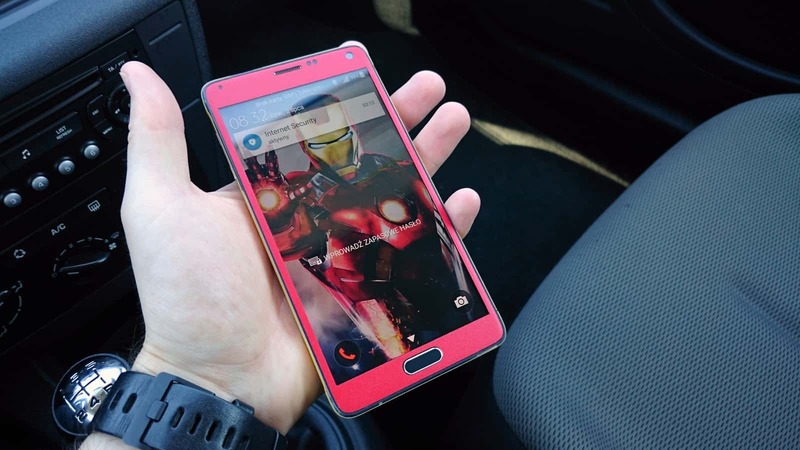 The post One Man Transforms His Galaxy Note 4 Into Iron Man Edition appeared first on AndroidHeadlines.com |.